Close to Cashiers or close to Highlands. 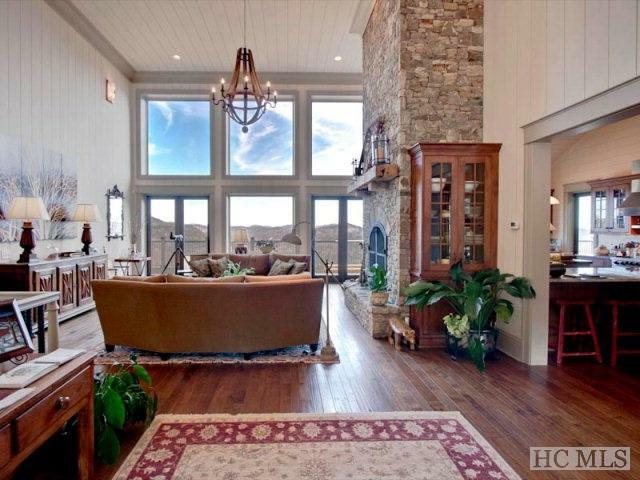 Its your choice with this wonderful home with one of North Carolina's most the famous views. No detail has been spared. Cedar shake roof, Viking appliances throughout, wooden walls and ceilings, hardwood floors. IPIE decking and outside flooring, two car attached garage and total privacy. 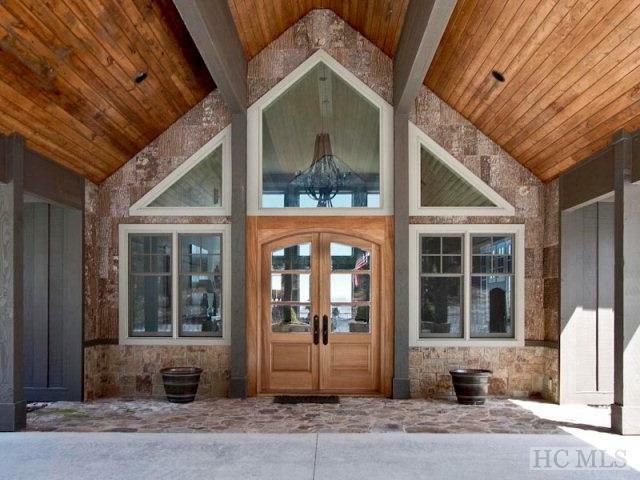 Pictures can't do this property justice--it must be seen in person. Situated on approximately 2.55 acres, this 4BR/4.5BA home features 2 kitchens, two great rooms, an office/library and a billiard room. Every bedroom has a fabulous view of Whiteside and the Bear Shadow. 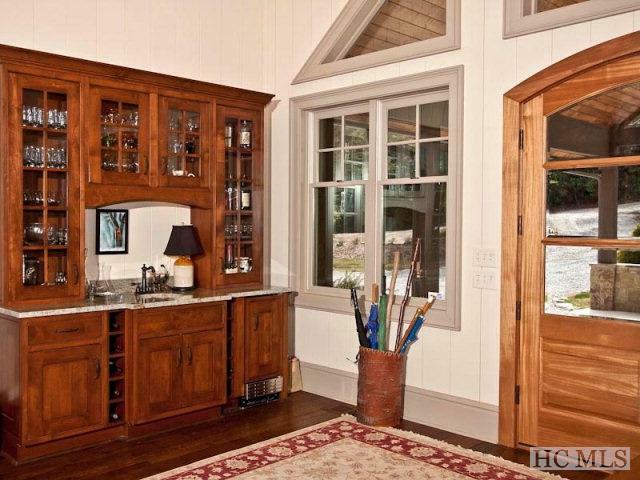 The superb workmanship is apparent once you enter this home. If you like to entertain, this home, with its full length outside deck, can handle a very large group. It also features heated floors in the tiled bathrooms, a lighting protection system and a full full house generator.